Stag Designs: Welcome, Friends from Mama Hall!! Welcome, Friends from Mama Hall!! Hello! I hope some of Eryn's followers are dropping by to see what 'Stag Designs' is all about. 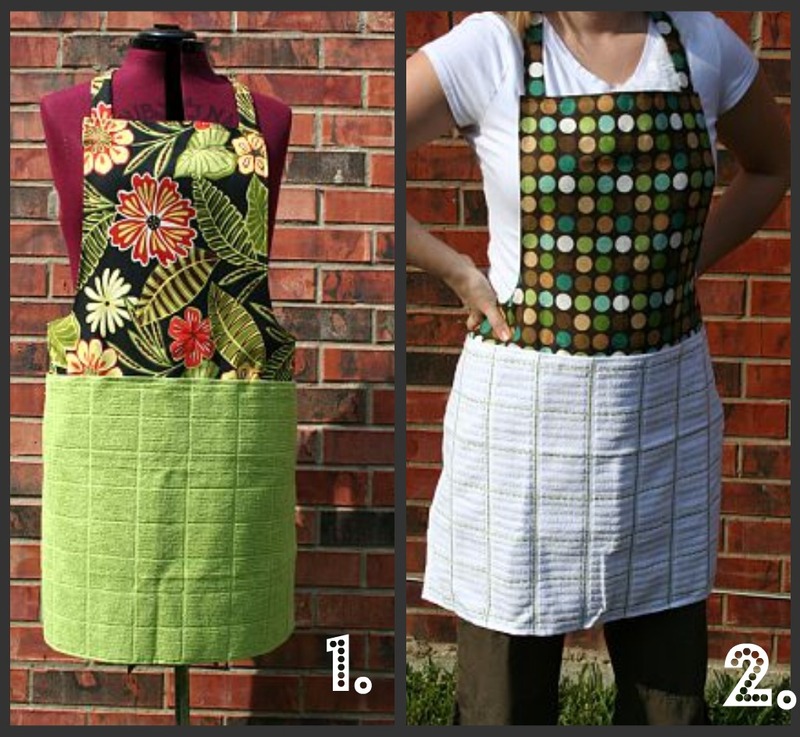 This is my little piece of the internet to showcase my sewing projects, my crafts and my life! I've been sewing for years, and I love looking at sewing/crafting/mommy blogs, so I decided to try it out for myself. 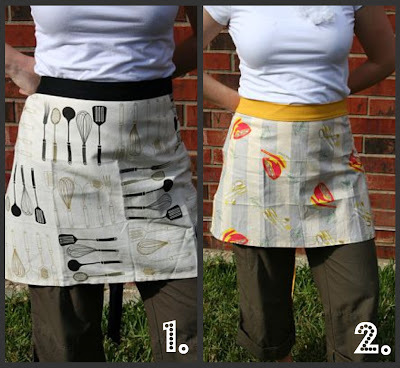 Today on Mama Hall's blog, we're giving away a $25 gift certificate to spend at Stag Designs. 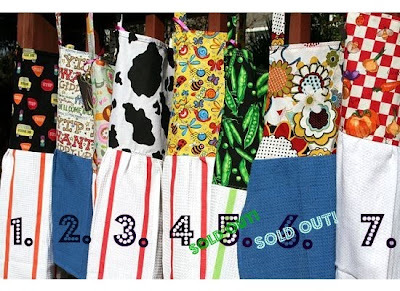 I have many aprons for you to choose from, or you could use the $25 towards a baby clothes blanket. I'd like to show you the products I've been working on, and if you're interested in any of them, shoot me an email! 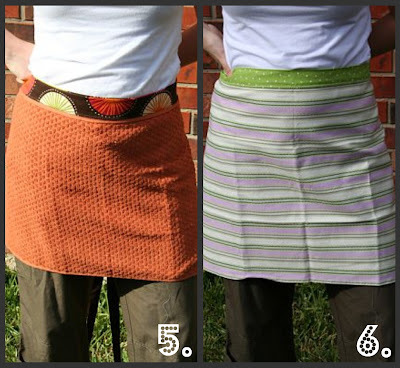 Let's start with the Adult Apron with removable dishtowel. I created this apron because I was constantly wiping my hands on the bottom of the aprons I wore at school. 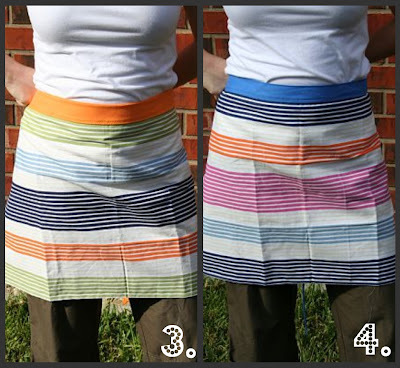 I was always looking for a dishtowel, and it was always on the opposite side of the kitchen. So an idea was born! I must say, it's great! 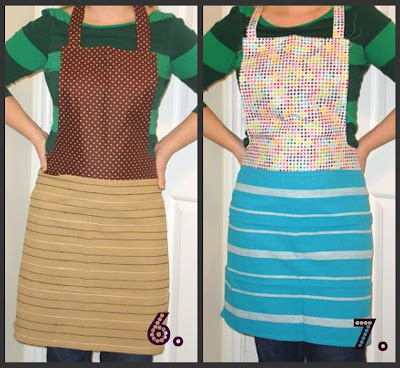 I teach a Nutrition and Wellness class to high school students, and this apron has been wonderful! My towel is always nearby, and at the end of an especially messy class, I can just rip the towel off the velcro and put a new one on! 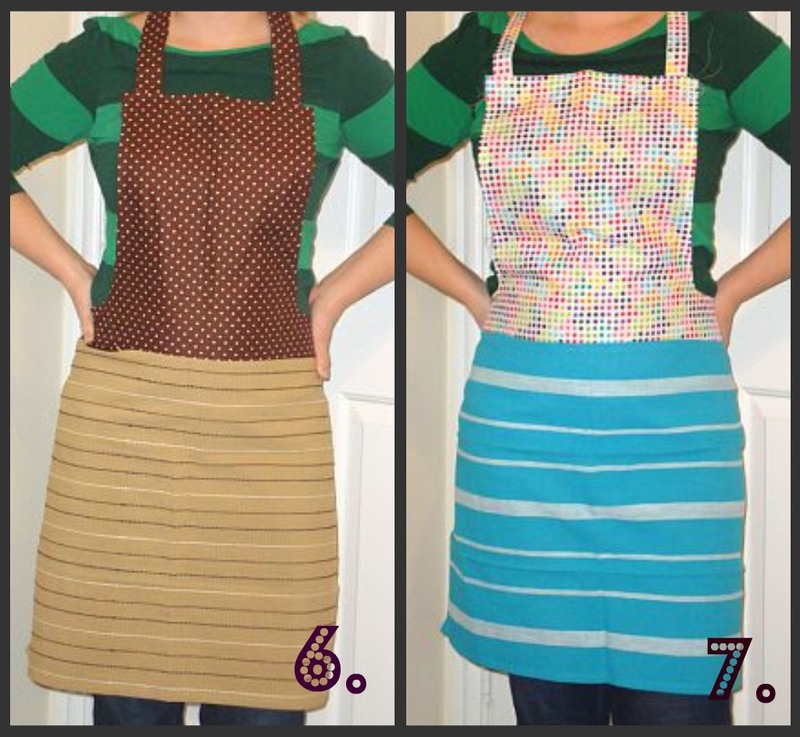 **Aprons 6 and 7 are made from 100% cotton fabric. The rest of the aprons are made with Duck Cloth, which is also 100% cotton, but slightly thicker--closer to upholstery fabric. Both are machine washable. I can also make you a custom apron, with the fabric and towel of your choice. Got a Cowboy's fan in the family? OU or UT? I'm a proud Texas Tech alumni, so I've got two Tech aprons in the works, that will be available for sale soon. 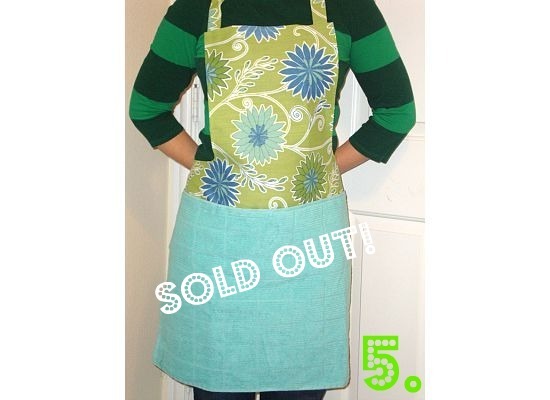 In addition to the Adult full size aprons, I also have Half Aprons availabe for $15 plus shipping. 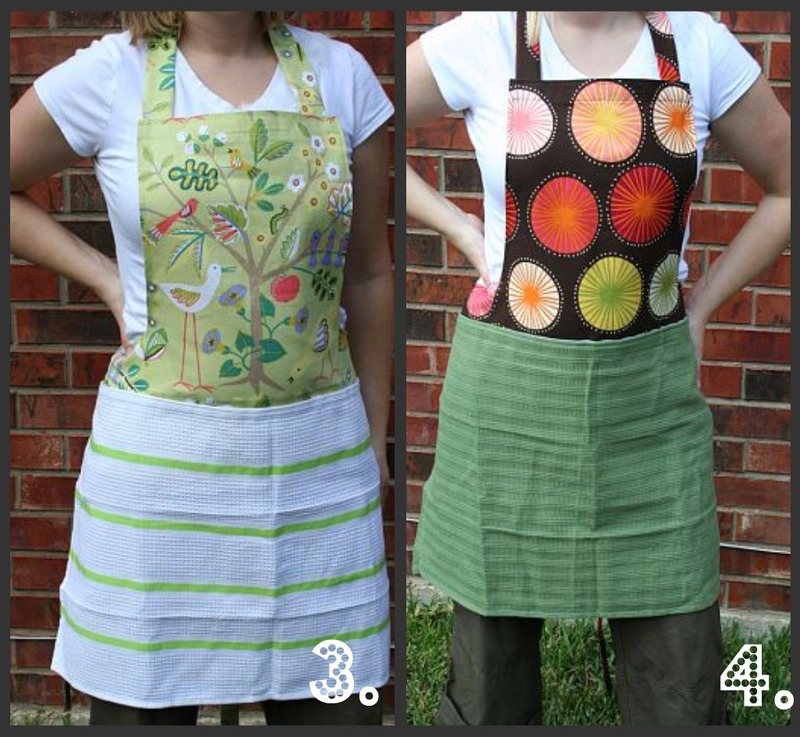 If you've got a little helper around the house, they might need an apron too! 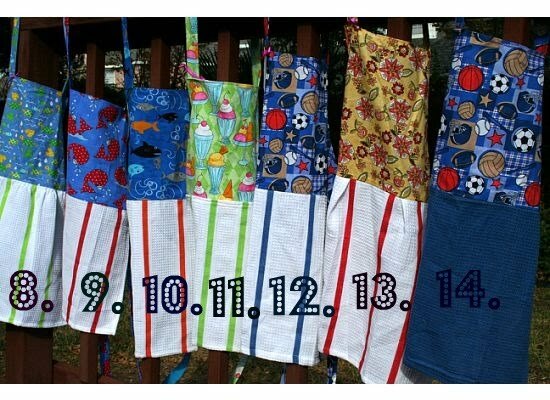 The Children's Aprons are $12 plus shipping. 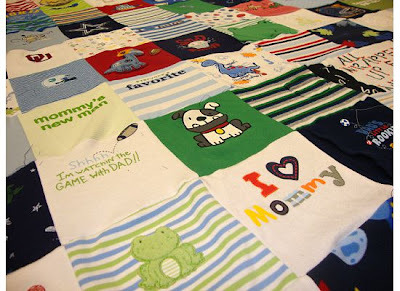 And finally, the project that is closest to my heart is my Baby Clothes Blanket. This one is made from my oldest son's clothes from his first year. I had to limit myself to the first year, or it would have been a king size blanket!! 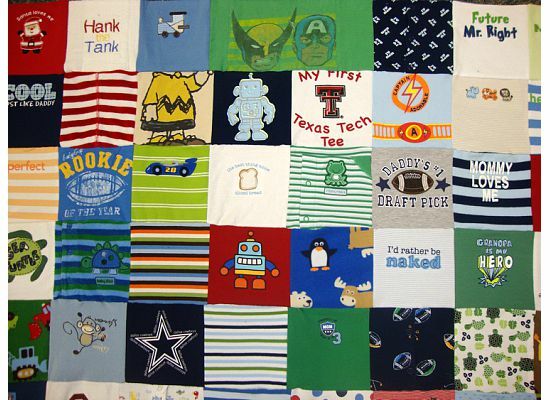 I can take your onesies, pajamas, burp cloths, receiving blankets, or any other fabric that is sentimental to you and create a one of a kind blanket. 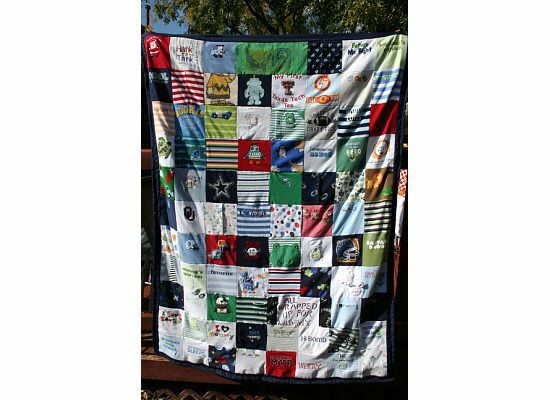 These custom blankets are backed with Minky fabric in the color of your choice. For a blanket similar to this one, with 80-90 squares, the price is $120 plus shipping. Price can be adjusted if you would like a smaller or larger blanket. Just send me your clothes and a few weeks later (generally 3-4), I'll send back a blanket! I hope you like what you've seen! If you would like to purchase any of the items above, or learn more about the custom blanket, please email me at jry25@yahoo.com. Thanks to all of Mama Halls friends and followers for stopping by my little part of the blogosphere! thanks for being so generous & welcoming in the giveaway! i am drooling over the new apron styles! :) i will be contacting you with our winner's email soon! December?! And a red wreath.